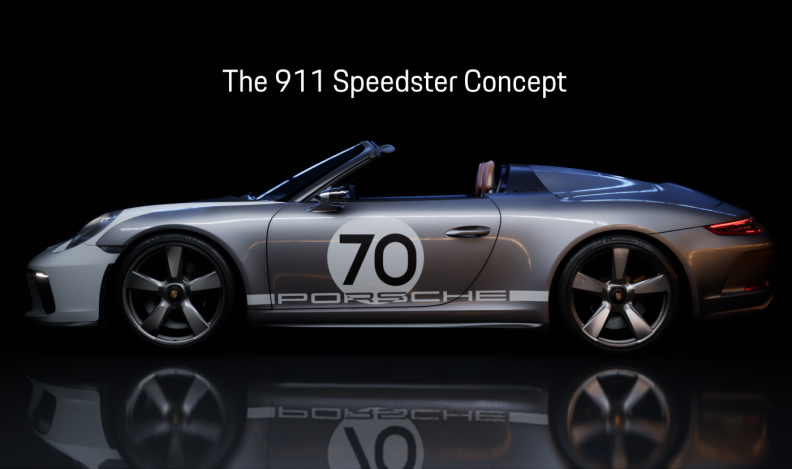 A video presentation in Vancouver featured a Porsche 911 Speedster concept rendered using real-time ray-tracing software. VANCOUVER – Porsche has partnered with video-game maker Epic Games and NVIDIA, a leader in graphic processing hardware to demonstrate what they tout as a breakthrough in computer design rendering. The system is already being used to help develop the next generation Porsche 911. They used the SIGGRAPH IT conference in Vancouver on Monday to unveil Speed of Light, a video presentation featuring a Porsche 911 Speedster concept rendered using real-time ray-tracing software. “Ray tracing basically mimics more realistically the way light behaves,” Francois Antoine, Epic’s director of embedded systems, told Automotive News Canada in a demonstration ahead of the conference rollout. Epic’s Unreal Engine, teamed with a new-generation NVIDIA graphic processing unit (GPU), allows designers to see more accurately how light plays off different surfaces at various angles without having to send the image back for reprocessing. The digital model can be rotated on horizontal and vertical axes and the position and intensity of light sources changed to create realistic shadows and focal points. “With pre-existing technology you could do this but it wouldn’t look anywhere as good,” said Antoine. It’s also time-consuming and computer intensive, said Christian Braun, Porsche’s director of virtual design. It could take up to 500 computers as long as an hour to produce a rendering, with more delays if changes are requested. This system uses one computer equipped with two new NVIDIA Quatro RTX GPU cards and operates in real time. Unreal Engine evolved from Epic’s experience in rendering for games. Epic, known for such titles as Fortnite and the Gears of War franchise, began working with Porsche about two years ago and was granted advance access to NVIDIA’s latest hardware and core ray-tracing code. “They were definitely a big part of this,” said Antoine.